I can't point fingers because I used to be in the same boat, but I see people all the time who struggle to dice an onion. I watch them want to peel the onion, cut in half, cut it in to strips, and then try to dice each strip. That's too many steps, takes way too long, and is really just too complicated. I like to start by cutting off the ends of the onion. Then I cut it in half, perpendicular to the cuts I made on each end. At this point it should peel pretty easily. The onion skin should come off fairly easily. Now place it fat side down. This is the side that was once the middle of the of the onion. The two ends of the onion should be on either side. 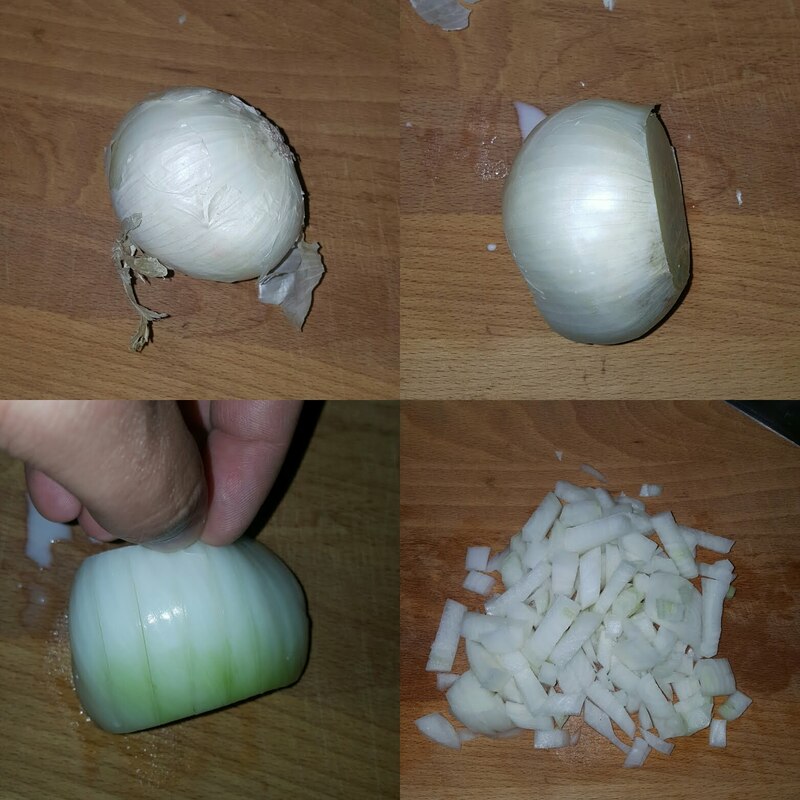 Now cut the onion into strips about 1/4 wide, without cutting all the way to the other side. This will help hold the onion together for the next step. Now rotate the onion 90 degrees. Cut through all the strips you just cut. The knife will be cutting perpendicular to the strips you cut in the previous step. You will still have a strip of onion left at the end, but it should be small enough to quickly dice with just a few cuts. Hopefully this method will save you some time and some tears in the kitchen.